I'm a bit late posting this. I made the post and just forgot to hit the publish button. But there's plenty of November left to take part of the challenge at Spectrum Noir this month. The theme is Christmas/Winter. 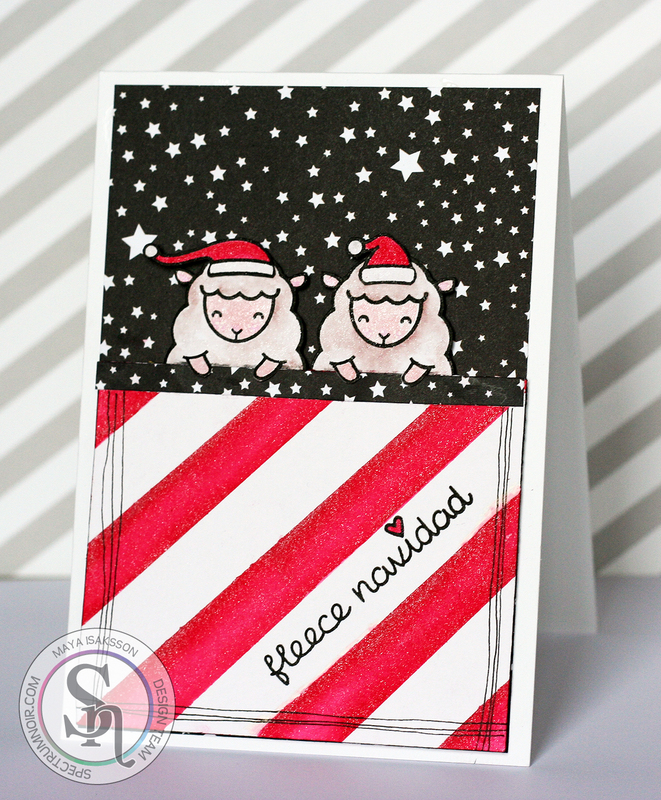 I made this card trying out the new fab Spectrum Noir Sparkle pens. They are soooo much fun and so shimmery. I used them to color the sheep and the red stripes, pulling them out with a waterbrush and blending to get the shades I wanted. It's so hard to capture the shimmer but they are very pretty! I used the colors Rose Quartz, Smoked Quartz, Cosmos, Crystal Clear and Red Berry. 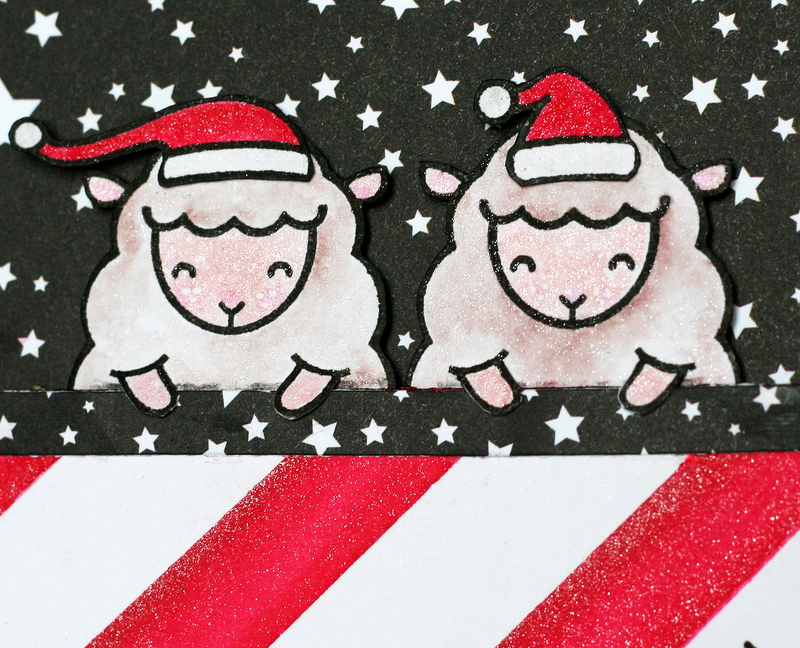 The cute sheep are from the set Baaah Humbug by Lawn Fawn. I hope to see your entry in the challenge, have fun!